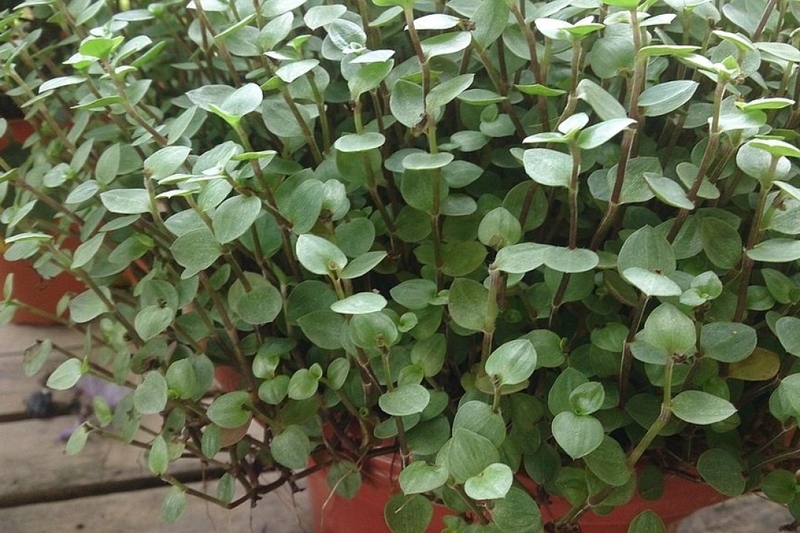 Turtle vine (Callisia repens): growing, planting, caring. A cute little ball of small leaves ! 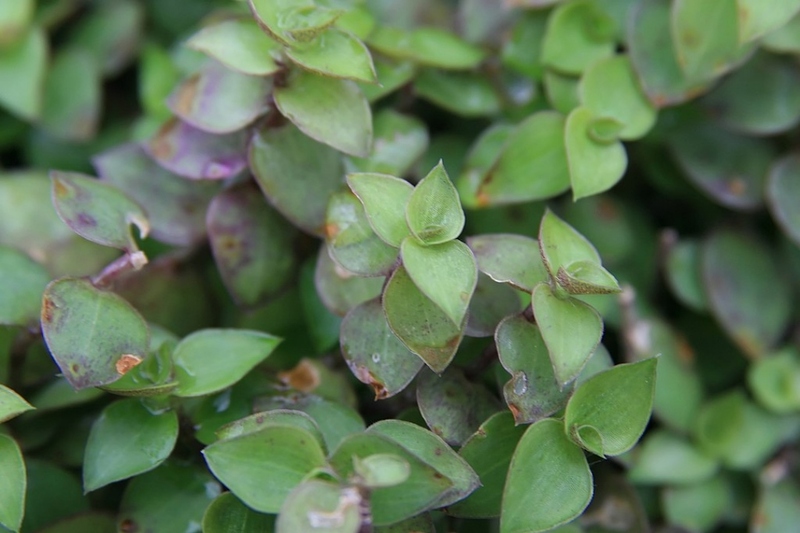 Callisia is a straggly, cascading, low-growing plant bearing a multitude of small green, fleshy leaves with purple undersides. In late autumn, the leaves become deep purple as watering slows down or ceases. Callisia is related to the Tradescantia family and is sometimes mistakenly named as such. Most of the group either spread or trail such as other Tradescantias, but they differ basically in that they have succulent foliage, though they have the same basic make-up of flowers – having three petals. As a plant with tropical origins – Callisia is happy to live on the edges of forests – so it will need either dappled shade or full sun, and preferably humid growing conditions. In the spring, plant your potted turtle vine in potting soil or decomposed compost mixed with sand, on a layer of non-calcareous gravel. Add a mulch of sand on the top of the soil, otherwise the basal leaves may rot. Place the turtle vine in bright light. For turtle vines planted in open ground, place them in full sun, in a very drained soil, rich in humus, or rock. Attention before planting outside, the turtle vine is not exactly hardy! Excessive watering causes rotting of the turtle vine, as well as wetting the leaves during watering. In season, water twice a week, then slow down gradually to once a month in winter. Take out your potted turtle vine for summer to give it light. Bring your potted turtle vince at the end of the summer. During the winter, place it in a room around 16 ° C.
Mealybugs can attack your turtle vine, as well as snails and slugs when put outside. If at the end of winter your your turtle vine bears too much damaged leaves, cut them delicately, and shorten the dry stems.